Zatchels is offering 30% Off on Bucket Bags, for around £60+. Direct shipping to Singapore is provided with additional shipping fee. Enter the coupon code at checkout. 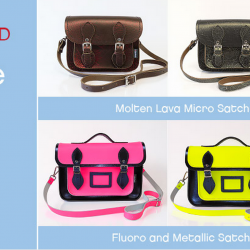 Zatchels offers 20% off coupon code for full price items including Micro Satchels 、Micro Clutches、Micro Saddles、Bucket bags、Accent Collection、Artisan Collection、Tannery Collection、Backpacks. 50% for select sales items . If you still haven't got a Zatchel in your wardrobe, You’re sure to find something you love in the Zatchels January Sale. 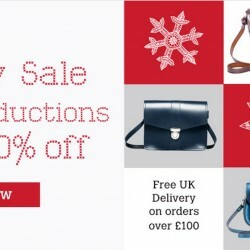 zatchels.com is giving you up to 50% off across a huge range of products including the best selling classic collections. 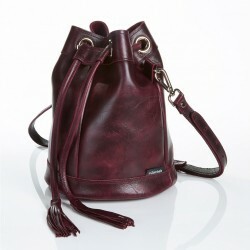 Zatchels.com offers up to 70% OFF summer clearance promotion! Enjoy satchels from as low as £29.00! Direct shipping to Singapore is provided with shipping fee applied. BargainQueen suggests to buy multiple bags to share the shipping fee. Direct shipping to Singapore is provided with shipping fee applied.